It’s a little unusual to head out for a wine dinner on a Monday night but when you are accompanied by 4 unusual people it all makes sense! 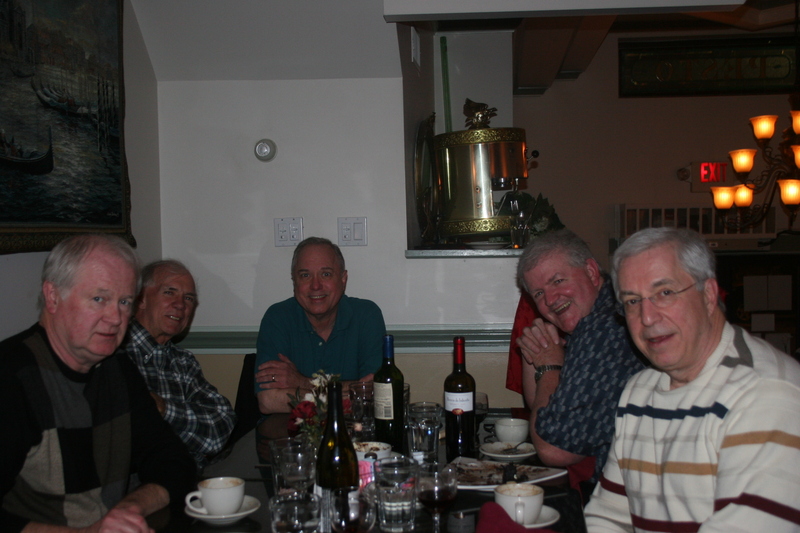 Frank, Steve, Ange and Val all showed up at Ristorante Pesto at 1915 S. Broad Street for another of the Oakview Survivor dinners. We have been doing this for about 3 years now and this core group always finds the time to enjoy a great meal and even better conversations. After achieving the South Philly “impossible dream” of finding suitable parking we were seated and looking over the menu when Rita, no relation to lovely Rita, Meter Maid, from the Fab Four days, who was our server, appeared to give us her rendition of the evening specials. Rita, while opening three bottles of wine, rattled off 6 appetizers and 10 to 12 entree items in perfect rhythm without missing a word. It was an impressive performance. 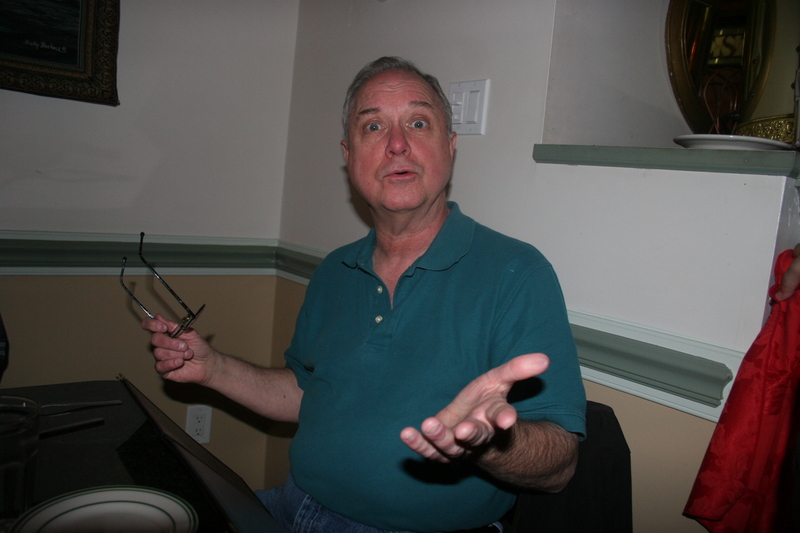 As we ordered soup and appetizers, and patiently waited for the notoriously late Crown Prince of Doo Wop, we retold neighborhood stories for perhaps the 200th time. They never seem to lose their bizarre appeal. Frank D. had the vegetable soup and we toasted each other with our wines. 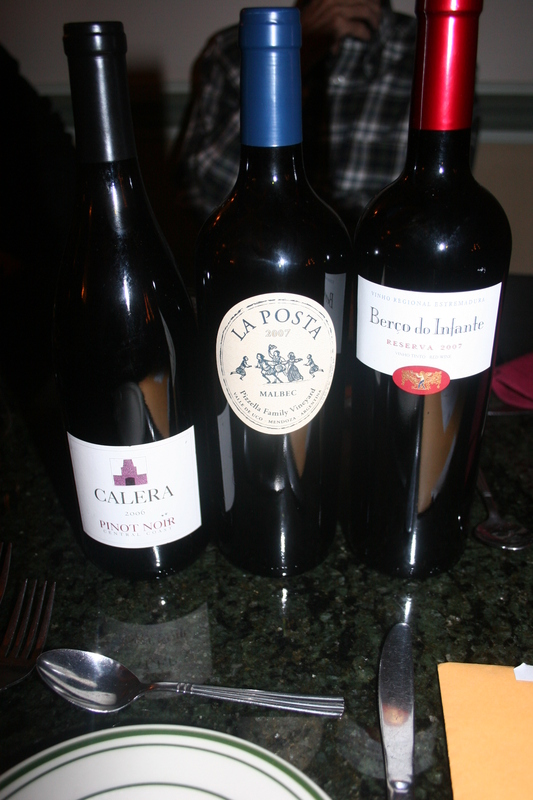 Ange had brought with him the 2006 Calera, Pinot Noir; Frank had the 2007 Berco do Infante, Riserva while I had one of my wife’s favorites, the 2007 La Posta, Bizella Family Vineyard, Malbec, Mendoza, Argentina. I would list here what Steve J. had except that I fear guilt by association, so it will remain nameless except that I might hint that it was white and it claims to be “the biggest selling Italian wine in America”, which speaks volumes for American taste buds! It was about this time that Val arrived. 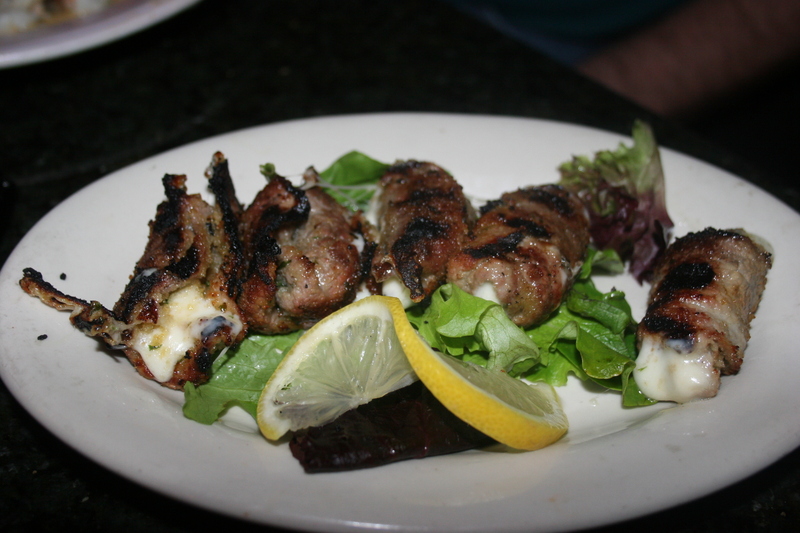 I was finishing up my Braciolettini (Rita’s spelling), thin slices of beef wrapped with seasoned bread crumbs and mozzarella cheese then grilled. This was a prefect way to start off the meal; nicely done pieces of beef covering gooey cheese. Val thought it looked good and ordered the same thing himself. Here is Val explaining to all of us that he would have been here an hour ago had a customer not offered him $1.50 for an old “45” record that Val insisted he had to have $2.00 for or he would feel his entire career as a purveyor of “oldies” had been wasted. Fortunately, the client raised his offer to $1.75 and Val reluctantly agreed. 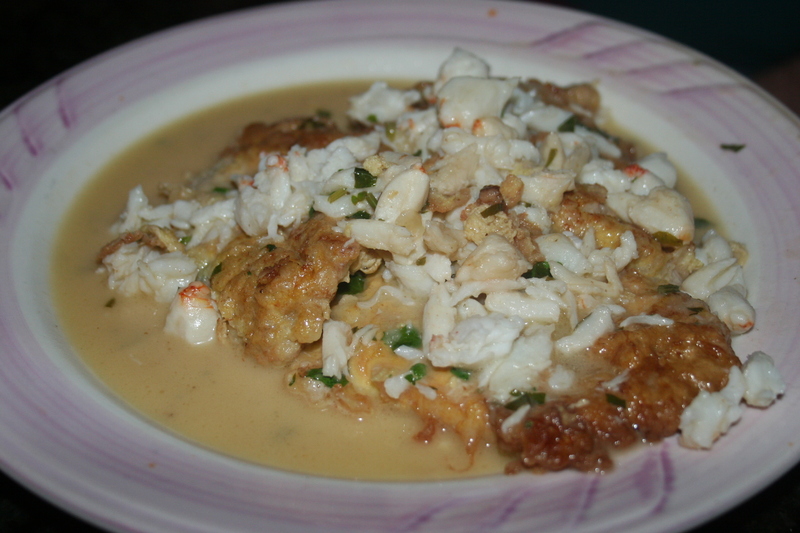 As I am writing this I am thinking back and remembering just how good my entree was. 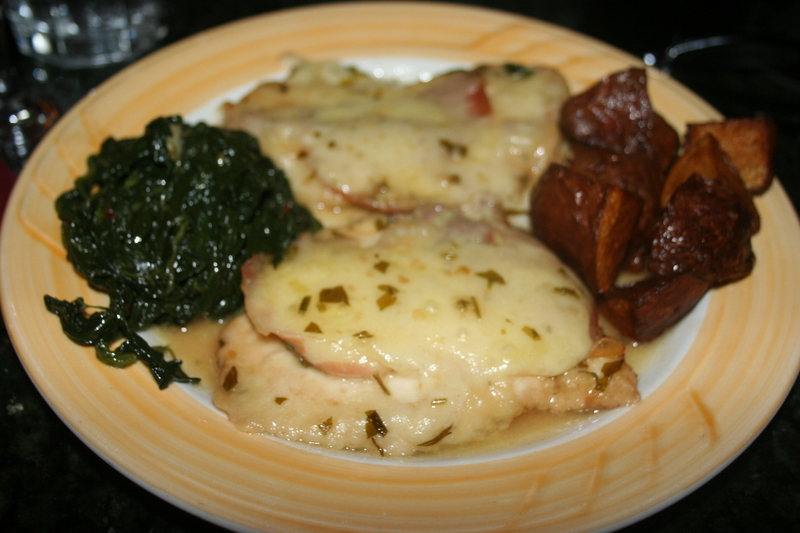 The Chicken Bolognese, chicken breast topped with prosciutto and sweet cheese and baked in a marsala wine sauce. This was served with “family style” spinach and roasted potatoes for the table. The combination of meat and veggies with perfectly roasted potatoes was wonderful. I had been to Ristorante Pesto once before and forgot how good it could be. Val had the Veal Francaise, veal medallions, egg battered and topped with a hearty portion of crab meat in a lemon butter sauce. 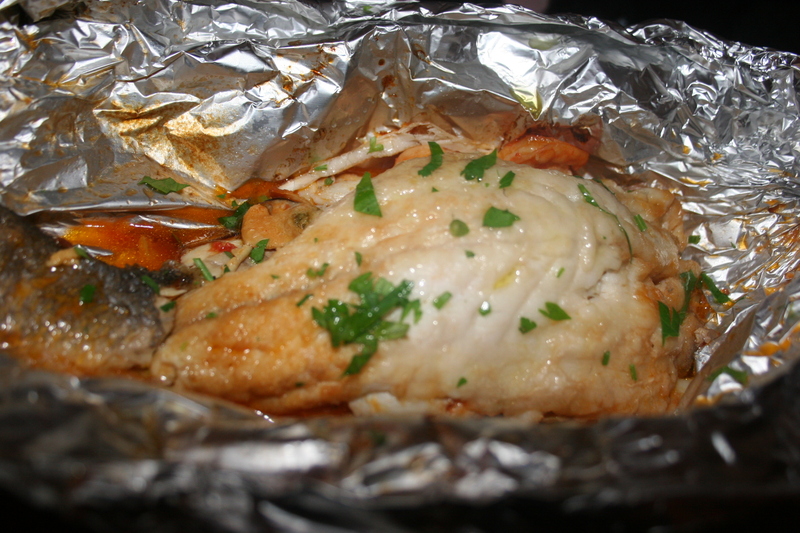 Ange and Frank ordered the Bronzino, similar to sea bass, and stuffed with tender mussels, clams, shrimp and crabmeat and baked in a light tomato sauce. 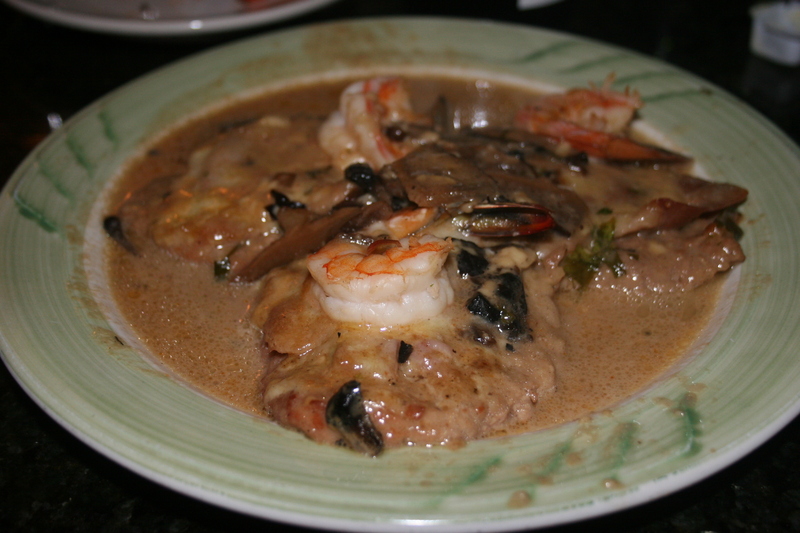 Steve selected the Veal Mare Monti, veal medallions topped with prosciutto, mozzarella cheese and jumbo shrimp in a mushroom demi-glaze. Everyone approved of their food and our hostess, Jackie grabbed my camera to capture the satisfaction apparent in our faces. Fortunately, the picture is a little dark and it is not likely that the authorities will be able to issue any outstanding warrants based on what can be seen here. 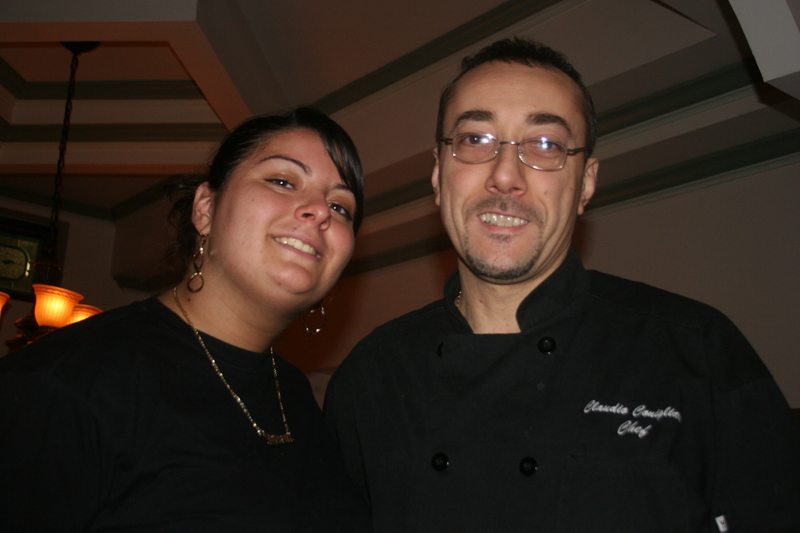 Our server, Rita, brought the co/owner-chef, Claudio Conigliaro, from the kitchen, so that his image could be captured for posterity on my blog. As you can see, the quality of this photo is somewhat better so that I hope both Rita and Claudio are warrant-free. We thanked Claudio for a great meal and Rita for her exemplary service. We topped off the meal with a couple of desserts which we shared. 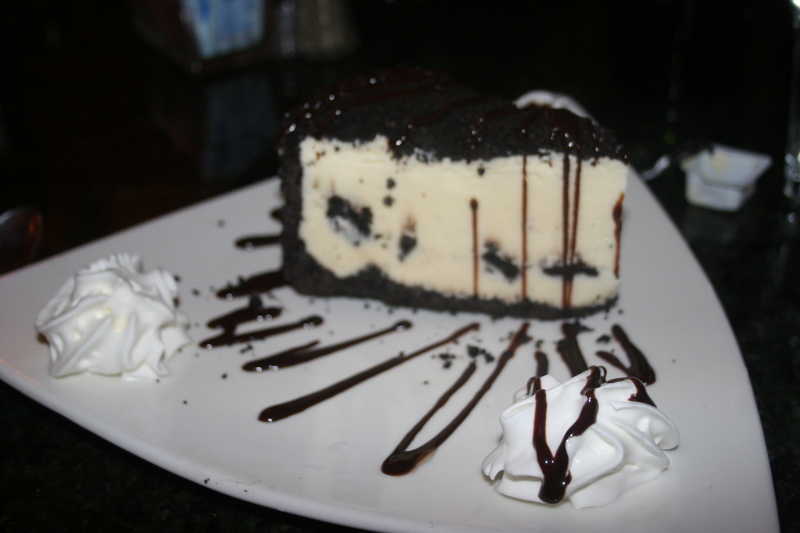 The Oreo Ice Cream Cake was a perfect ending to a culinary masterpiece and even though there is no picture of the home- made Tiramisu you’ll have to take my word that it was equally good. 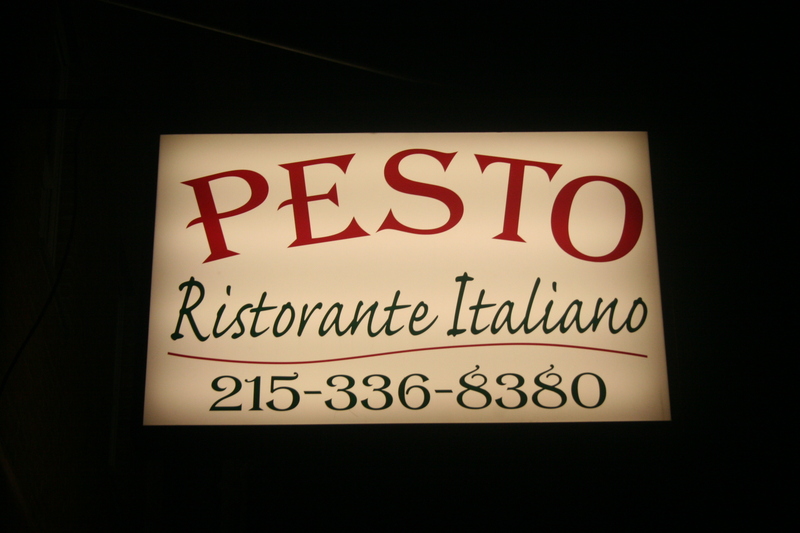 Once again, not every BYOB chooses to open on Monday evenings, last night there were five degenerates from Oakview that were very glad that Ristorante Pesto was available.